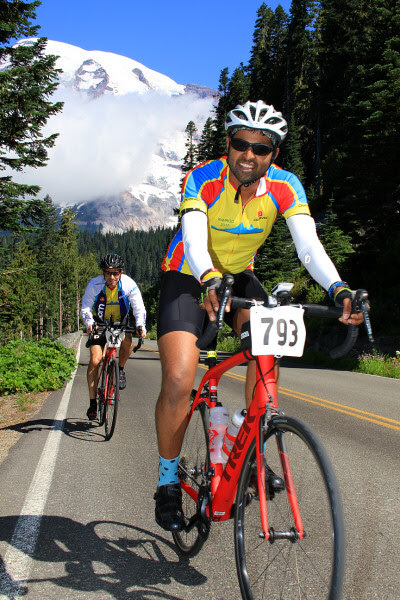 Its an 18 mile long hors categorie climb, which you are trying to climb after 50 miles in the ride and having completed a rainy pass climb in the beginning of the ride. When you climb this section, it is usually noon and the temperature can be easily above 90F and even sometimes above 100F , and can be super windy. 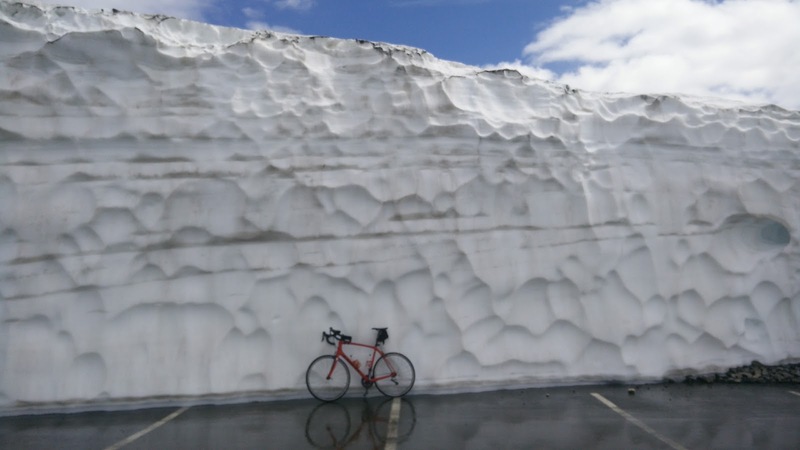 I did this ride first in 2016, and cramped, suffered in the climb from Mazama , but had a better ride this year in May. 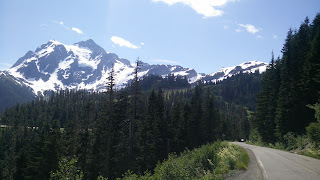 I would say this is a beautiful and quite challenging bike route in Washington. Here are some photos from the ride, that cannot cover completely the beauty of the place. After RAMROD 2017 experience I was really interested to participate in the ride this year as well. Thanks to Tim, I got a bypass for 2018 ride. Tim volunteered last RAMROD and could not use the bypass because of injury concerns. 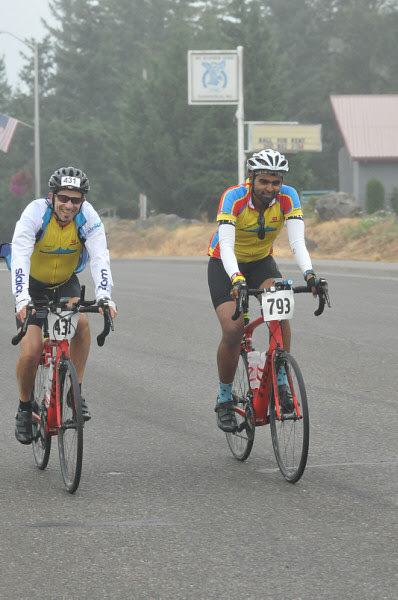 RAMROD was one of my goal events for 2018, in addition to Chelan century. Without Dave and Tim, I was going to do train alone this year. 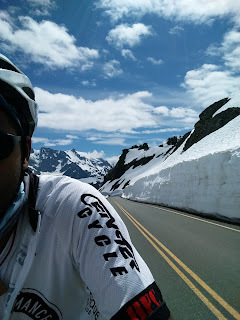 For some major organized rides and other mountain rides, I tried to be part of couple of Teams. Primarily High Performance Cycling, where I found really strong riders, who have been riding over years but without race focus. Native planet cycling was one other team, which focuses on mountain climbing rides, where I joined for some of the good rides in mountains. or double century ride. Thanks to many pace lines and HPC group I was able to hang on. Post STP I focused on tapering down my training for RAMROD. Nutrition : This was a big focus for me since November last year, and I drastically reduced my carb and sugar intake and increased fat intake with regular fasting. Sakthi was super supportive and she also joined my food experimentation craziness. We went completely gluten and sugar free for more than 3 months. With low intensity training combined, I was able to continue with this more high fat and moderate protein diet. We mostly ate whole foods, and avoided ultra-processed refined items. Changed our cooking oils to healthy fats like Butter, avocado oil etc. I started experimenting with eating meats as well. Eliminated most of the flours and grains, with increase in green vegetables. This helped me in dropping body fat and my weight dropped by March. Though since March with increased training and mixing other food into diet, I did not drop my weight further but maintained the weight I dropped. I diligently fasted every day morning with a compressed eating window, and also a 24 hour fast every 2 weeks. This helped my body for better fat adaptation to use fat as a fuel. Be more cautious and not to over push early in the season to crash like this year. Increase winter base training and continue get back strength training. Get back on the diet to increase fat adaptation and go complete off season for 3 months with just low intensity rides. Add some yoga to the routine to increase flexibility. Here are some of the ride photos. 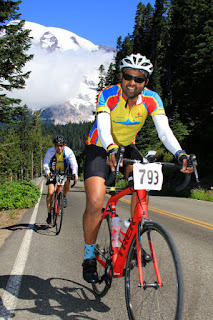 Ride Around Mount Rainier On a Day - RAMROD - a 152 mile ride with ~10,000 feet of elevation to climb. I heard about this ride from my cycling mentor Matt McTee 4 years ago. I never imagined I would ever be doing this brutal ride for what I was used to riding. 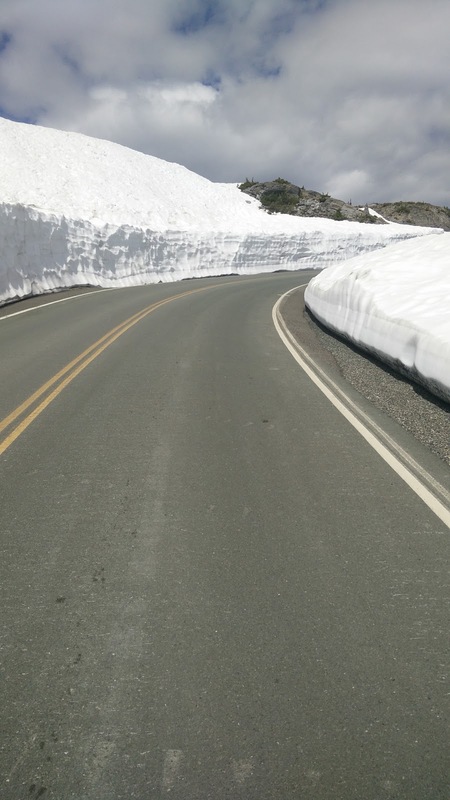 But since last summer, after my renewed passion in cycling and also following Tim, who is also my cycling mentor, I made up my mind during the winter to do RAMROD this year. 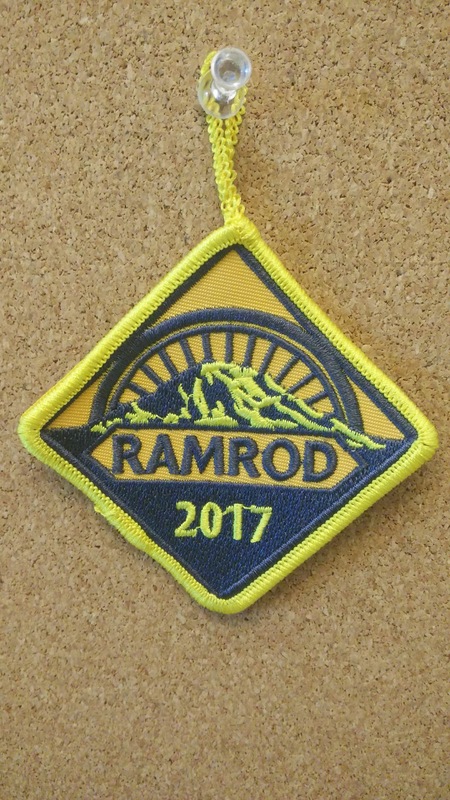 After climbing Haleakala , RAMROD was one of the 2017 fitness goals . Tim, Dave and I applied for the lottery as a team - "Team Mountain Goats". On April 1st we received a note that I was not selected in the Lottery. But realized, there was a system glitch and that mail was sent to every one on April 1st (Hmm..what a April first joke). Luckily next week we received a mail that we are selected in the lottery. Getting in the lottery is good, but now I should be fit enough to ride this brutal ride. RAMROD Training : During winter I bought a Wahoo Kickr and signed up for Trainer road. The last winter was a severe and long winter for us, so I had to train most of the time indoors. But I tried to be as regular as possible with at least 2-3 spin session and definitely that improved my overall aerobic fitness. By March I had a decent fitness to do my first ride with lots of climbing. Tim & I did the Edge 42, with some steep hills around the east side. Definitely I got dropped by Tim in one of the hills. But I was improving. Along with Tim & Dave, we started doing some regular weekend ride picking up the Ramrod Training series routes. By April I bought my new bike - Trek Domane SL6. A nice endurance geometry with ultegra groupset, this was a beautiful bike to ride. I did my first century ride in April with good climbing in the first half and a mostly flat route in the second half. By may with regular weekday and weekend rides I had put on some good mileage on the bike. Third week of May I had to travel to China and India and took a 10 day break in-between. Came back by end of May with few additional pounds, but still managed a Personal record in the 7 hills of Kirkland century . 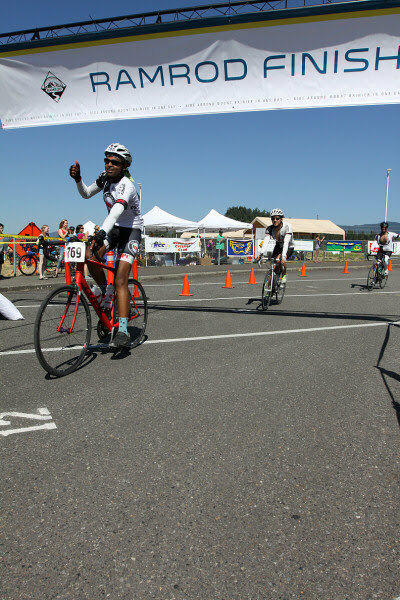 By the time I was doing flying wheels, I was in good run and even completed my fastest century ride ever at 17.9 mph. 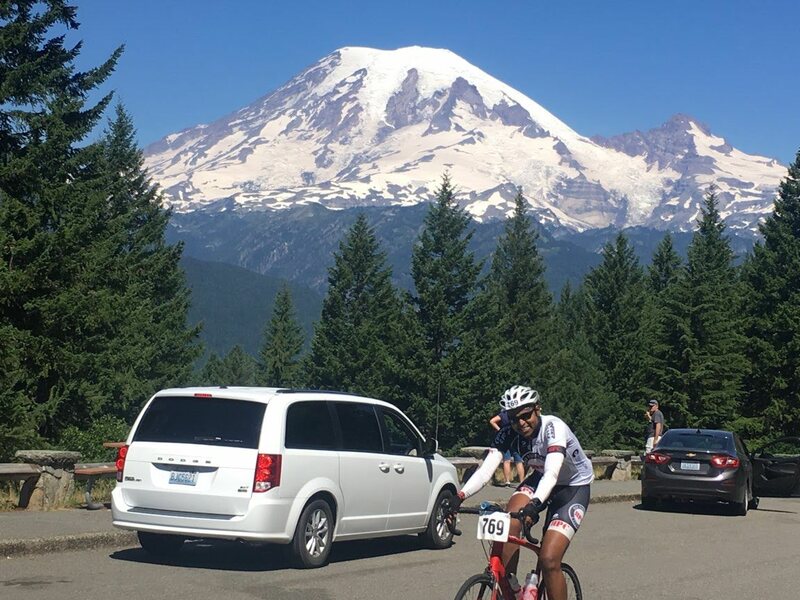 At Tour de blast, I was definitely climbing St. Helens at a much easier heart rate and also was able to complete the ride with a personal record time and speed. By end of June I went to Lake Chelan for one of the toughest ride ever I have done. Dave and I with help from Tim went and rode at Mt Rainier couple of times. 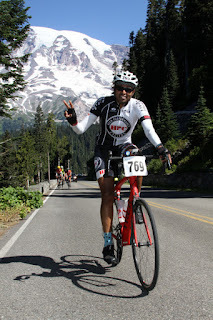 We did all the climbs in Rainier to get familiarized with the climb. Thanks to Tim who was our personal support during this ride. Unfortunately he had to drop from training because of injury. I definitely PRd on the sunrise, chinook climbs compared to last year. By July 2nd week, I had put good mileage on the bike with some serious climbing practice. Nutrition : This was the biggest struggle because of family and my own self control. I was on and off with a good eating habits. My travel to India and China in May was a set back in my weight goals. I came back with additional pounds. One of the key in these extended climbing rides is body weight, since you are riding against gravity. By June I got into a serious diet rhythm, which partly helped in being at a decent weight for RAMROD, but definitely not the right time trying to cut down food intake, since I was also training hard. But the last two months before RAMROD, I was completely off sugar and any refined carbs. I mostly had good vegetables, fruits or eggs. I did take dairy since I need my yogurt . The day before hard rides, I did take rice and tried to cut back on other days. This helped in my overall performance and also my hear rate improved on the climbs. 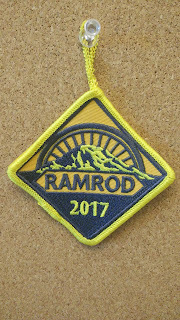 On RAMROD Day : I carpooled with Subu to the start point, and had to wake up at 2.30 AM to be there at the start by 4.30. The day started with getting a speeding ticket on my way to the start point. But still was hoping for a good ride. I started at 5.00 AM and had to ride solo for the first 36 miles, since Dave was not there at the start at 5. It drizzled for the first 30 miles, since it was not pouring, a very pleasant weather.I averaged about 18mph till Ashford sticking to few pace lines which were at decent pace. 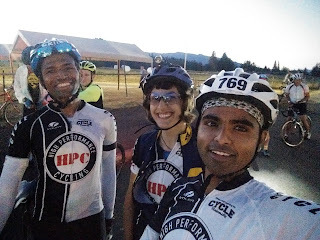 I tried to avoid hard pacelines since there was some good climbing to do post the 65 miles. After the first rest stop Dave and I stuck to each other for the rest of the ride, and was at Wildwood food stop by 8.30 AM. We were going at some decent pace and I was not eating enough till this point. I was avoiding the bagels and did not like eating the bars, So mostly I was running low on nutrition and I could feel slowly in my legs. In the first climb to inspiration point, my legs were not at it best , and I was a bit slower but we managed to reach Inspiration point by 10.45 AM. I did some stretching with yogasanans and also tried eating some bars, but did not like the taste of it. After inspiration point , it was a long and fun downhill to back bone ridge and I stopped at Box canyon food stop to eat some potatoes. They definitely tasted better and that is where I got some real nutrition. By the time I entered cayuse pass, it was 12 noon and we were super lucky to have the weather in the 70s and lots of shade in Cayuse. The potatoes and gu shot gave the energy to climb cayuse not at my PR but at a decent pase. The nine mile climb with the stop in between for water following another amazing downhill, took about 1 hour and 50 minutes ,we were at the deli stop near crystal mountain before 2 pm. The deli stop had some chips and fruits I gorged every bit of it, and they had a coke can. A coke tasted never better before, and the sugar and caffine helped me to push the next 36 miles of mostly flat to down hills but with heavy head wind. The head winds for the last segment were just too much and Dave did pull a good 19 miles in this part. For last the 10 miles, I found a good pace line and stuck to it in every section till the end which helped us to push really hard. By 4.15 PM we were at the finish line. I averaged a 15.8 mph for this 152 mile ride with some good climbing. 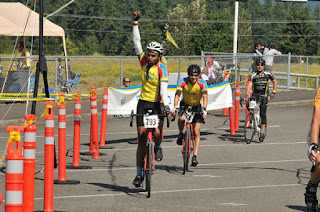 When I finished I still had gas left in the tank and definitely was not feeling completely done ( I could barely move when I finished first STP or even this year Chelan century). 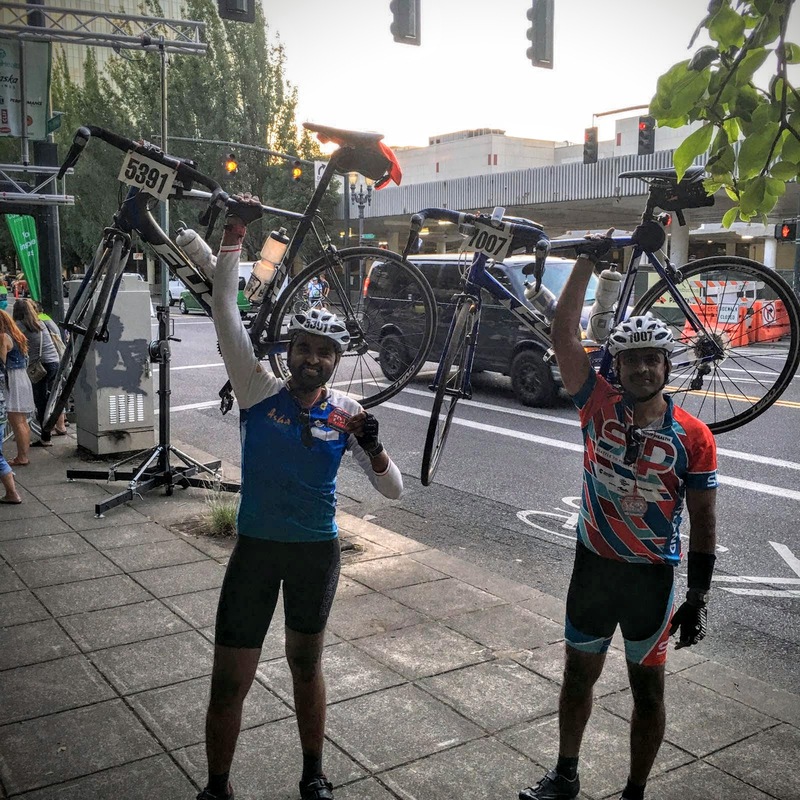 A good weather and a great support helped in completing this ride which I never imagined I would be doing it. Winter base training is must base fitness. Improved base fitness with reducing my resting heart rate. Focus on weight loss and get to goal weight before spring. Trying to lose weight during training was a struggle. Work on core fitness, this would help me do better on these long climbs in holding a steady line. Improving fat adaptation and reduce carb dependency and focus on high fat lower carbs by eating fresh and natural food more. Avoid sugar and other packaged items all through winter before I start training hard in spring. Here is the link to my RAMROD ride . Also some photos from the ride. Writing after a long time. 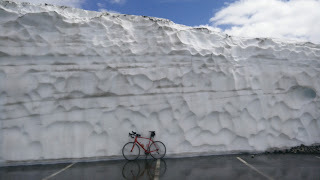 I have been doing some bike rides in the mountains since last seasons. During the ride, especially on those long climbs I go through a lot of emotions and always wanted to pen them down. 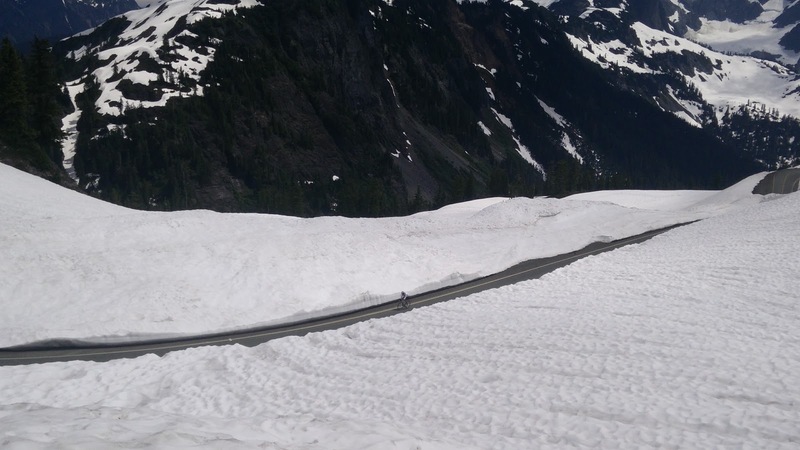 For example my thoughts climbing Sunrise point in Mount rainier last year vs this season has been way different. Last year, it was the hardest climb I have done. But after doing many such climbs including Haleakala, this year, my goal was focused on climbing at a without spending much time in threshold heart rate. As some one said, cycling is all about progressive insanity, every year the goals move as I progress in my fitness to be a stronger in cycling. 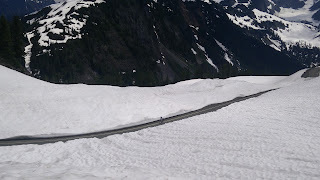 Yesterday, I had an awesome ride to Artist Point in Mount Baker with High performance cycling group (HPC). We started the ride from Maple Falls in Whatacom county. It is a good 2 hour drive from my home, and for change I was driving the carpool with David from HPC. We started to Pedal with couple more folks around 9.15 am. One other rider was supposed to join, but she started at 9.30 but caught us at the summit. 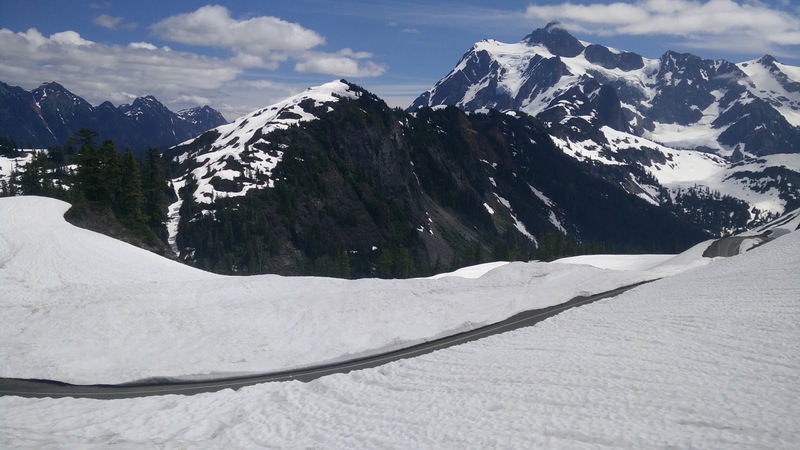 The ride to Artist point from Maple falls is 32 mile long, and the summit at ~5K feet elevation. So net you would have climbed about 4500 feet in total elevation. 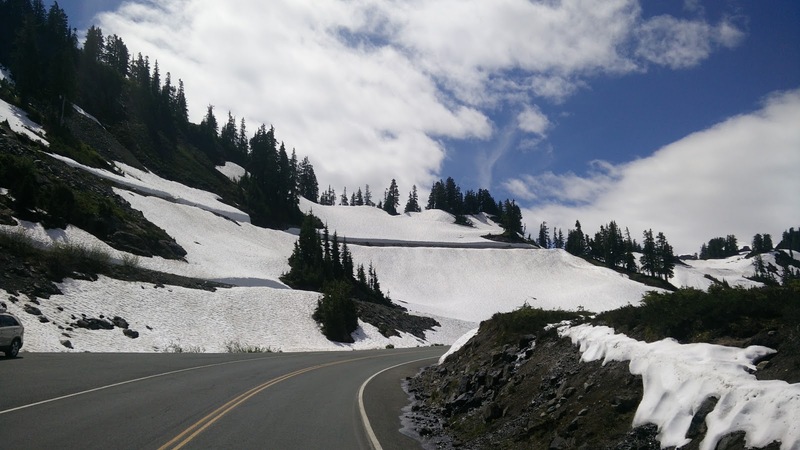 The main climb is from mile 22, and the road just goes up till the summit at an even grade of 5-6%. But as you start climbing, and go towards Mt. 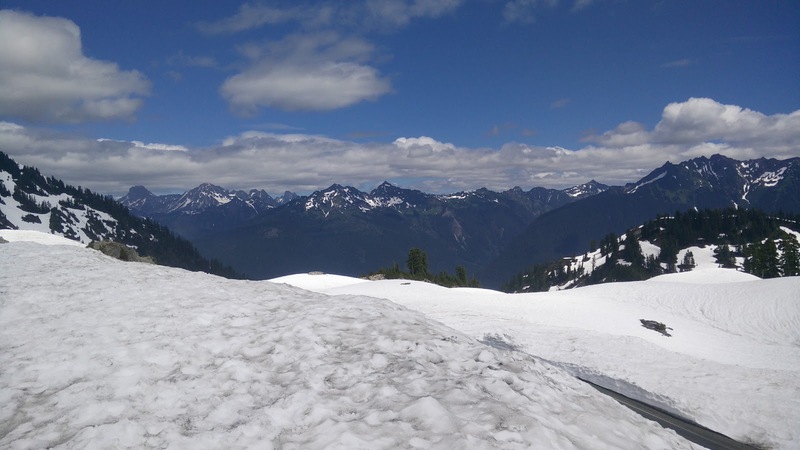 Baker Ski area, you get some stunning views of snow covered Mt. Shuksan. About 4 miles to the summit, you reach Heather meadows. This winter had snowed a lot so we could not see the meadows, it was covered by snow. There were folks still trying to ski around that area. I was riding at a steady pace average 7-8 mph. Not the fastest climber in the pack, but steady pedaling took me to the top in about 15 minutes behind the fast guys. The last 2-3 miles had a quick switch backs and the grade went up to 8%, and the roads had snow walls on the side which made the ride spectacular. 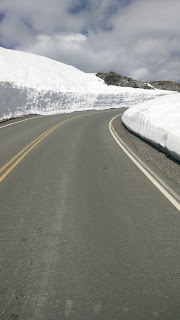 Artist point had snow depth ~8 inches and it is July. We started the down hill, was being super cautious seeing the road condition. Unfortunately David hit a pot hole and went down pretty hard. I was behind them and I was cursing the pot hole as I crossed it and saw David was standing with other riders trying to figure out what has happened. Luckily he got away with some road rash, but the bike had some issues. We were able to ride back to Maple falls with the fast guys pulling us a descent but not at a super fast pace. We stopped for Ice cream at Glacier, I skipped the additional sugar load. We finished the ride around 2.30 PM. Looking at the final stats, even with a super cautious descent , I had a steady pace and completed the ride at 15mph. Lots to work on the climbing skills, need to work on improving core strength to hold the line on long climbs and also improve the power to weight ratio before next season. Back again for the third year in succession. 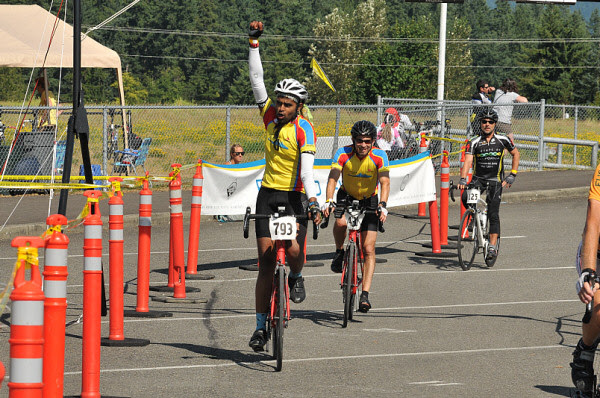 Biking, which came into my life out of necessity, became a passion for me. I have been into biking as a passion and a hobby for the last 6 years. 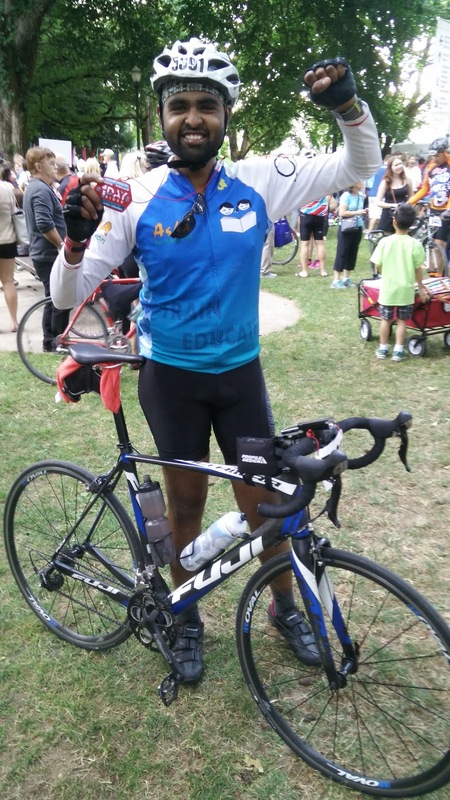 Since 2013, with your support I have combined my passion for cycling with supporting a cause. Over the last 2 years with all your help, we sent more than 15 kids to school free of tuition fee for a full year through Isha Vidhya and Asha for Education initiatives. Educating a kid who is in need is like teaching someone to fish. A good education could transform the life of not just the kid but also that of his/her family. The impact is amplified more so because most of the children we support are first-generation school goers. 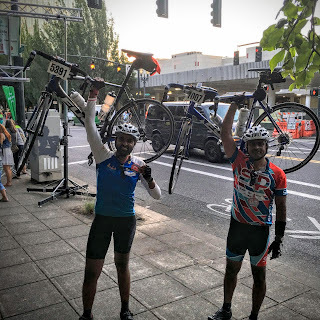 To continue with this effort, I will be attempting to ride from Seattle to Portland in a day (STP, 206 miles in a day) and also raise funds to educate kids in need through Asha for Education initiative. 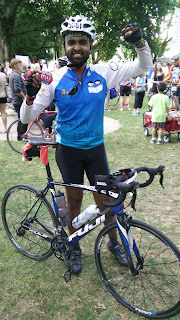 I look forward to your generous contribution to raise $5 for every mile of my ride, with a fund raising goal of $1000. Every single dollar of donation from you shall go towards teaching under-privileged children in India. Needless to say, this shall also strengthen my resolve along every mile of this cycling expedition. As a gesture of my heartfelt appreciation, I promise to mark your names on a “gratitude poster” and wear it proudly as I cross the finish line. If you are an employee of companies such as Microsoft, Intel, Google, (or a few others which are similar), your contribution could be even more valuable! Your employer has committed to match your donation dollar-to-dollar, typically above a fairly low threshold ($25) – thereby doubling the impact of your generosity! I will also match with 500 USD if we reach the goal whcih gets matched by Microsoft, thereby we end up having a triple match. Please support Asha for Education by contributing generously using the link on this page. Click the below Donate button to contribute. I had to go through the OCI application process for my recently born daughter in October. Thought of sharing my application process so that it would help folks who also would be in same situation. Also when I applied for OCI , I had to search in the web so much for every question I had through the process and Cox & Kings Global services site who is the intermediary and India Passport OCI site did not have all the minor details in which I was stuck. They do cover the high level documentation process but do not cover some minor details. In this post I will summarize the steps I went through to get my daughters OCI (Overseas citizen of India) card in less than 60 days. Before you read the remaining : Let me re-iterate, this is application process explained below is applicable only for new-born who has an Indian origin through his/her parents or grand-parents. I was on a work visa in USA when my daughter was born here few months back. If you are a naturalized US citizen and applying for OCI, refer Cox & Kings Global services site and it has enough details and it is not as confusing. Cox & Kings Global services , an intermediary service provider, who would be facilitating you in the process of the OCI application. You never write directly to the Indian consulate in USA or to the Ministry of overseas affairs in New Delhi. Indian government has outsourced the service of facilitating Indian Visa and OCI application in other countries (especially in USA) to CKSGS. If you are applying for OCI when you are in India you may not reach out to CKGS. This is a two stage process. Step 1 : Visit Cox & Kings Global services site to ensure they are the service providers still when you are reading this. ( I have seen BLS and CKGS fighting for these services most of the time). Check the latest process mentioned in the OCI page for new born. They keep revising this almost every couple of months. The current process as per the site, involves the following. Fill the online application in Government of India site. Select New OCI Registration. On selecting New OCI registration the form has popup makes it very clear it is mandatory to upload Applicant's image and Applicant's signature image during OCI-Registration. This is where confusion No.1 starts. For a new born where is the signature. So do not worry, it is thumb print image you have upload. That is what I did, which came in the OCI card as well later. I had put the thumb print of my new born in a white sheet and scanned that image. You can also take a good quality photo of that thumb print with your phone. Now you would need to resize this thumb print to 1:3 aspect ratio. You can use this online tool resize it to get your scanned image to the aspect ratio of 1:3. Select the height as 200px and width as 600px in the resize tool. You should be able to download a cropped and 1:3 aspect ratio image with size restriction of 200KB. Once you have both the images in .jpeg format with less than 200KB size, you can start the fresh application form filling . You would need the USA passport details of the new born as well. In the OCI registration Part A form everything is clear, may be one box you might struggle is "Visible Marks". For new born I filled as none, which is perfectly ok, as I could not find any in our new born daughter. For address details, you can fill your current US address and it is not mandatory to fill native address or Aadhar card number for new born. Once you submit Part A, you are asked to upload the passport photo and thumb impression. After uploading, you can fill the Part B , which is fairly simple. Enter details of family members living in India , in our case I had filled the details of maternal & paternal grandparents living in India. Now you would need to upload documents, passport scanned copy of new born, and proof of Indian origin I had uploaded the scanned copies of the birth certificate of parents. Then you would get a final application form with a barcode (which is the unique number throughout) which need to be printed and you would stick a physical photo in it. Preparing documents copy to send to CKGS. Use this check list from this page. Originals are not needed, I had sent all the photo copies attested by me and my wife on behalf of our daughter. We attached copies of our Passport, birth certificate (Daughter & parents), and our marriage certificate copy, parent authorization form, our visa copies ( since we were on visa), license copy as proof of address and the checklist of the documents. For notary, we visited our bank First Tech who provides free notary services for members. After collecting the documents and application form printout, you would need to pay the fee to CKGS. There are 2 options , you can pay online the CKGS fee + OCI fee + return Courier fee ( when they would send the OCI back). The online form may fail if you just paid the OCI+CKGS fee of ~300 dollars and missed selecting courier option in the beginning. It kept on throwing error as "duplicate details". You cannot send prepaid envelope to CKGS to send your OCI back as well. So the best option I took was attached a 15 dollar cashier's check / money order along with the documents. CKGS once received documents, immediately sent a receipt for the 15 dollars courier fee I had enclosed. Payment can be made by Credit Card / Debit Card or by Money Order / Cashier’s Check / Bankers Check in the name of ‘Cox & Kings Global Services USA LLC.Please print the name, do not hand-write it on Money Order.If submitting by Money Order/ Bankers or Cashier’s Check, kindly mention the Tracking Number / Web Reference number at the back of the Money Order/ Bankers or Cashier’s Check. Send all documents visa FedEx / USPS, I chose FedEx. You can also buy the FedEx courier option in CKGS, but that is confusing and prefer sending directly through a courier service. Now it is tracking & waiting time. Here is the time estimate it took for my daughters application in SanFransico India mission. Below is the tracking info you would find in GOI site. You also have tracking in CKGS site, which provides processing status updates outside of Indian consulate. CKGS was prompt in providing updates regularly from the time sent my application till I got the OCI back. You can track your application status in CKGS site from the time CKGS receives your application till it is submitted to Indian Consulate. After that you would need to track the status in the passport.gov site about your application. The bottleneck in this process is once the application is sent to MOIA India, it takes about 40 days to get any update. This is the longest time. Once OCI is sent back to Indian consulate, they would intimate the CKGS to request passport for matchup. Here on you would again get regular updates from CKGS. CKGS provides regular updates once they receive and submit to Indian consulate for matchup. Once OCI is matched, it is sent to CKGS for mailing to us. I sent the initial application and documents to CKGS on November 28th and received back the OCI After match up on 27th January. So it took ~60 days turnaround time. The biggest problem I faced when applying was the CKGS payment which was not working fine. But if you chose money order/ cashier's check it would be smooth as well. CKGS has been working so much in the last few months in improving their site, and I have seen a drastic change in their website since I applied in November. Hope this was useful for you. If you had some other good info, please leave in the comments, that might help other folks who are also going through this long and tedious process of OCI application for their new born kids. What is being said in detail,and how? Is this book True, in Whole or Part? Elementary reading, is something which all of pick up from our school on how to read letters, words and sentences and make meaning out of it. Which we pick up as we grow up. Inspectional reading on the other hand is trying to get the maximum info about any piece of article or book in a given time. But the focus of the book was on the higher levels of reading mainly analytical and syntopical reading. Analytical reading is truly a way to become a very demanding reader. Analytical reading can be grouped into 3 stages - structural, interpretive and critical. Determine which of the problem the author has solved and which he has not. The author also covered in detail how to read various types of books starting from practical books, novels, plays, history and philosophy and social science. On the face of it, it may look philosophical books are the best for analytical reading. But, books of the highest class - the books that seem to have grown with you as you read them are that would require us to read analytically. Poor Charlie Almanack, Anti Fragile by Taleb and Letters to shareholders by Buffet are a few books that I read last year which I would read again analytically. Establish a set of neutral propositions for all the authors by framing a set of questions to which all or most of the authors can be interpreted as giving answers. Analyze the discussion by ordering the questions and issues in a such a way as to throw maximum light on the subject. More general issues should precede less general ones , and relation among issues should be clearly indicated. There is a strange fact about the human mind, a fact that differentiates the mind sharply from the body. The body is limited in ways that the mind is not. One sign of this is that the body does not cotinue indefinitely to grow in strength and develop in skill and grace. By the time most of people are thirty years old, their bodies are as a good as they will ever be; in fact , many persons' body have begun to deteriorate by that time. But there is no limit to the amount of growth and development that the mind can sustain. The mind does not stop growing at any particular age, only when the brain itself loses its vigor, in senescence , does the mind lose its power to increase in skill and understanding. This is one of the most remarkable things about human beings and it may actually be the major difference between homo sapiens and the other animals, which do not seem to grow mentally beyond a certain stage in their development. But the great advantage that man possess carries with it a great peril. The mind can atrophy. Like muscles, if its not used. Atrophy of the mental muscles is the penalty that we pay for not taking mental exercise. Television, radio and all the sources of amusement and information that surrounds us in our daily lives are also artificial props. They can give us the impression that our minds are active, because we are required to react to stimuli from outside. But the power of those external stimuli to keep us going is limited. They are like drugs. We grow used to them and we continuously need to more and more of them. Eventually , they have little or no effect. Then if we lack resources within our selves, we cease to grow intellectually, morally and spriutually. And wehen we cease to grow, we begin to die. Reading well, which means reading actively , is thus not only a good in itself, nor is it merely a means to advancement in our work or career. It also serves to keep our minds alive and growing. (Emphasis mine). I started to appreciate reading more when I understood the power of compounding and how our brain works. I would like to continue to my reading journey every day with this goal of at-least 25 pages a day. If you want to learn how to read, do read this book How to read a book by Mortime adler without fail.